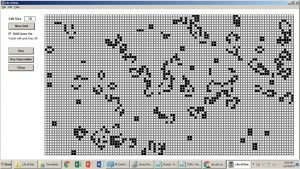 As part of my research into genetic algorithms, I decided to create a platform for cellular automata. No better place to start than building a version of Conway’s Life. The application and source can be found here.